Lead guitarist and singer with the glam rock band The Darkness. He has also played with Hot Leg, British Whale, and Band Aid. He was in a band called Vital Signs, which covered songs originally by Queen and Marillion. Although the record labels were initially skeptical of The Darkness' potential, their debut album went to #2 on the charts straight after its release. 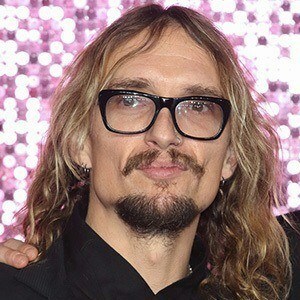 He was formerly engaged to Sue Whitehouse, the manager of The Darkness. He co-wrote "Love Is Not Real" and "California Isn't Big Enough" for Meat Loaf.